By Mrs Beecham in News on 4th December 2017 . This year is the 20th Annual Christmas Tree Festival at the United Church in East Street. 65 organisations are represented by a Christmas trees at the festival and we are delighted that we have managed to get one again this year, despite heavy competition. 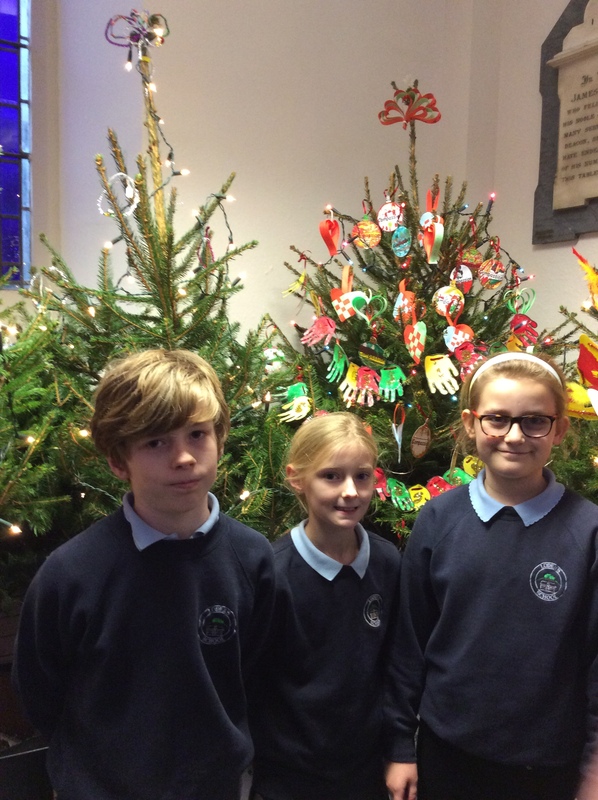 Pupils have created decorations on the theme on ‘compassion’ and Mr Beare, Tiana, Libby and Noah went along to the church on Monday to get the tree ready. The festival officially opens on the 5th December at 7pm with a Service of Dedication let by the Reverend Peter Clark, when the lights on all the trees will be switched on. The festival will run until the 17th December and you can go along and see all the trees between 10.30am and 4pm daily . Each tree has a collection box, and the church’s charity of choice this year is The Samaritans.